Semolina Pudding Recipe or semolina porridge is an easy and nutritious breakfast that little ones just adore. And big ones too. Just a few ingredients and you get the most amazing pudding ever. It can also be considered a dessert, and served either hot or cold. 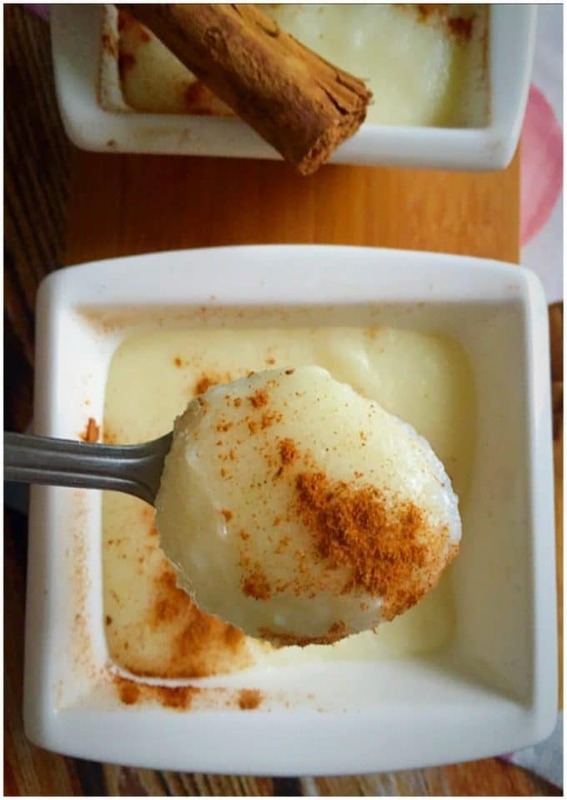 Wait, have l mentioned how ridiculously easy to make this semolina pudding recipe is? 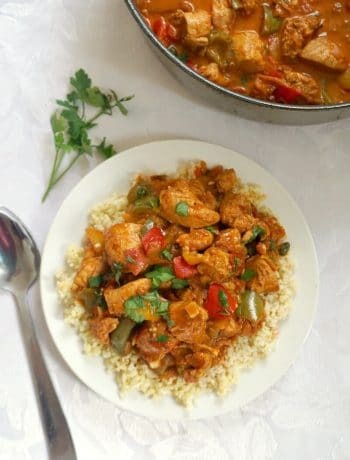 Ready in well under 10 minutes and a bowl of sheer goodness is right there in front of you. It makes a great alternative to the good old oat porridge. 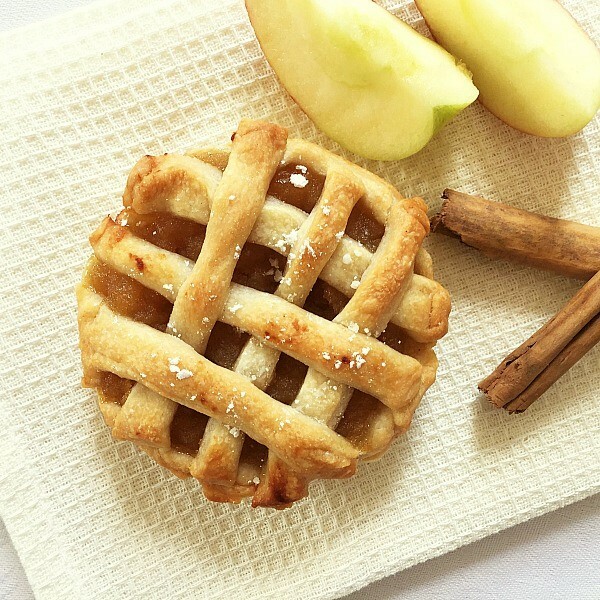 Top it either with cinnamon only or your favourite jam, fresh fruit or nuts. Or fruit and nuts together. 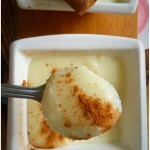 How to make the perfect semolina pudding? Semolina pudding is basically made of 2 ingredients: milk and semolina, but you can choose to make it as flavourful and sweet as you like. All you need to do is bring the milk to boil, add the semolina gradually and keep whisking until it thickens. Don’t be tempeted to add any more semolina, as this will thicken further once it cools down. If you really like it a bit sweeter, add more sugar to it, although I think there is no need for too much if you add vanilla and/or lemon extract, that will make it really flavourful. Or the zest of lemon would also work wonders. So, cooking it can be that simple, it is truly up to you how you like it. How to make semolina pudding for babies and toddlers? It’s made exactly the same way, but what’s important, do not add sugar, but can add lemon zest and cinnamon, depending how the baby takes it. But even plain tastes great. Or mash banana and mix it with it, that will taste amazing. Do use full-fat milk for them, otherwise you can use semi-skimmed if you make it for adults. 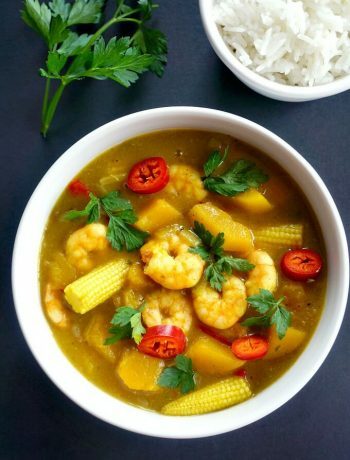 When l was a child, mum used to make it often for the whole family. Together with the rice pudding another great favourite of mine, they were the perfect treat for us, when ingredients for more sophisticated desserts were not available. Who needed chocolates anyway with such a delicious dessert? When to serve semolina pudding? I like to have this yummy pudding in the morning, but it can also be served as a dessert after your meal. Or even in between meals when you feel a bit peckish, but don’t want to eat to much and spoil your main meal. If you’ve tried my SEMOLINA PUDDING RECIPE or any other recipe on the blog then don’t forget to rate the recipe and let me know how you got on in the comments below, I love hearing from you! You can also FOLLOW ME on FACEBOOK, and PINTEREST to see more delicious food and what I’m getting up to. 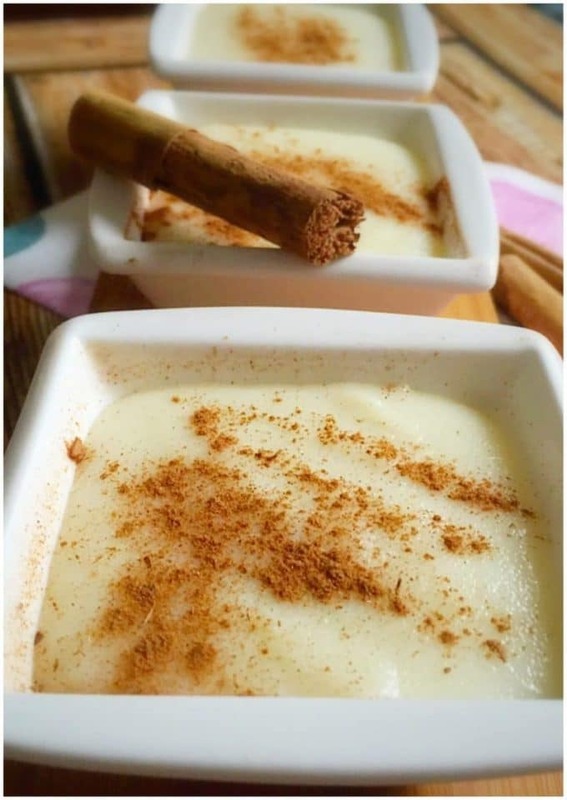 Semolina Pudding Recipe or semolina porridge, a healthy and delicious breakfast or dessert that can be served either hot or cold, and topped either with cinnamon, jam, fresh fruit or nuts. 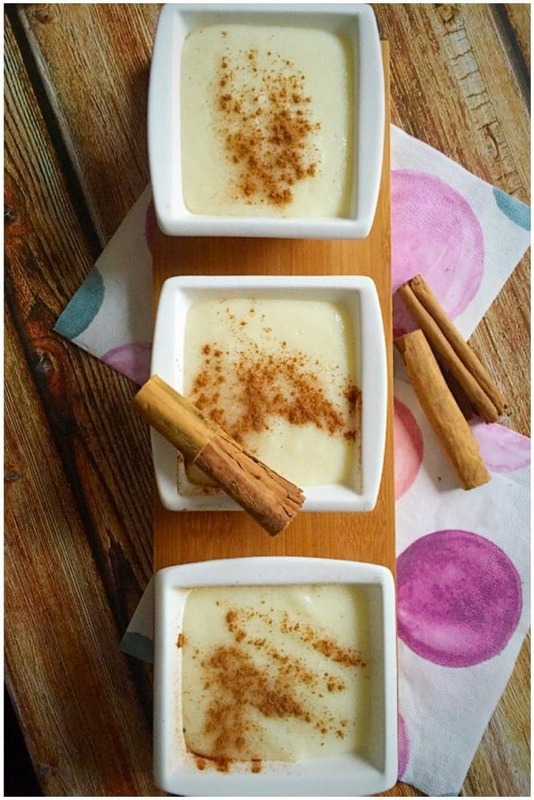 Semolina pudding for babies is a great alternative to the oat porridge, little ones will love it. Pour the milk into a pan and bring it to boil over a medium heat together with the sugar and half of the cinnamon. Add the semolina whisking continuously for about 2 minutes until the pudding thickens slightly and bubbles. Once you remove it from the heat, the pudding wil not be very thick, but there is no need for more semolina at all. When it cools down, it will thicken more. The number of ingredients can be adjusted depending on the number of servings you need. To do so, please click on the number next to SERVINGS and adjust accordingly. Thank you! Let me know if you like it! ? Thank you! I used to love this pudding when l was a child. I can’t wait for my baby to be old enough so l can make it for her ? Thank you for stopping by, it is really delicious, hope you’ll like it! ? I have never heard of semolina pudding before. It looks so good,and I can’t believe how easy it is to make. I’ve got to try this! Pinning! It’s very tasty, let me know if you like it. That’s some good-looking pudding. Thanks for the recipe! You might want to try mixing semolina pudding with tapioca pudding (there are plenty of 2x egg recipes on the web, though I expect you’ll already know this). Both individually are nice – both together are great. Thank you, I have never tried the tapioca puddings, it sounds delicious though, I will give it a try for sure.